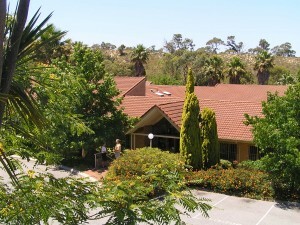 We are excited that you are considering studying at Perth Bible College (PBC). PBC is a nationally accredited tertiary education institution providing higher education awards from Diplomas through to Masters Degrees in an environment of Academic Excellence that is Christ Centred, Ministry Focussed, and Life Transforming. Studying for Christian Ministry is challenging and rewarding. Giving your life in the service of others is a calling to follow Christ. We at PBC are thrilled when anyone chooses to pursue this path in life and we commit ourselves to the development of each student. Both in their progress spiritually and also academically. PBC arose from a vision of the world’s need for the gospel of grace, the need for more effective servants of the gospel, and the need for intentional Bible-based ministry and theological training. During the past 90 years thousands of people have been trained and entered God’s service in a host of ministries both here in Western Australia, interstate, and abroad. PBC continues today by the grace and faithfulness of God with this same vision. There are many who still need to be reached, and there are ministries everywhere that need to be started and strengthened by men and women skilled and passionate about the gospel. We believe that the love of God is greater than the need of the world. We also believe that God wants to use men and women who are committed to know, love and serve Him with integrity, to build up his church in order to reach the world with his love. Our vision is that PBC will continue to play a vital role in bringing students to an understanding of something of the height, breadth and depth of the love of God as shown to us in Christ Jesus. 90 years on we continue to commit ourselves to this vision; to equip others to be effective in “THINKING SERVICE“, in the many contexts in which God is calling his people to serve. We believe in the urgent need to reach our broken world with the gospel of Jesus Christ and to train men and women to be effective servants for God. We teach people to think through issues by providing foundational knowledge, tools and skills so that they can approach practical ministry with a well developed framework for leading various forms of ministry rather than prescribing one approach to ministry. Our studies contain a high academic level of education, and we are committed to maintaining this high standard as an important foundation for practical ministry. However, all our studies will also have a “How does this apply to my Christian, church and world situation?” focus as well as contain the practical skills necessary to be effective in ministry. We currently offer 5 ministry specialisations: Pastoral, Youth, Counselling, Creative, Cross-Cultural. In any form of ministry communication skills are paramount. The effectiveness of ministry will depend not so much on the knowledge of the message but on how the message is communicated in a relevant and clear way. All of our studies incorporate the need to be able to communicate well that which is being learned. We believe that community is a primary means for personal transformation as well as foundational for healthy church ministry. To facilitate this, part of our training includes students experiencing and being part of a transforming community at college. Rather than only training the individual, we desire to give students tools so they can develop others as well as themselves. Each graduate should be able to not only effectively impact the world in which they minister, but train others to also impact their world for Christ.